Ski with us this Christmas in the stunning Northern French Alps, and let us make life easy and fun for you! This year we will be offering weeklong Christmas ski holidays as well as our popular Christmas ski weekend and Christmas ski midweek breaks, allowing you to escape to the slopes whatever the constraints of work or family. These Christmas packages are available in the Aravis Lodge for skiing La Clusaz and Le Grand Bornand. If time is short but you still need a skiing fix, these great value short breaks are for you – use your Christmas holiday wisely and escape to the slopes with the minimum of hassle. This year our Christmas and New Year packages will run with Monday and Thursday change-over dates, the same as the rest of the season. Over this period, both of the above breaks will be fully catered on a half-board basis, with a buffet breakfast, afternoon tea and a 3-course evening meal plus wine included every night (see below for further details about meals on Christmas Eve and Christmas Day). Included in all prices: full Aravis region ski lift pass, catered chalet-hotel stay & short airport transfers from Geneva in our fixed transfer windows. We also have a weeklong Christmas ski option if you really want to make the most of the festive holiday season. Included in all prices: full Aravis region ski lift pass, catered chalet-hotel stay & short airport transfers from Geneva in our fixed transfer window. We will celebrate Christmas 2019 in style with fine food and drink, surrounded by beautiful Christmas trees and traditional decorations. The magic of the snowy winter wonderland outside, coupled with our cosy festive chalet-hotel creates an unforgettable Christmas – with either friends or family. What could be more exciting than skiing at Christmas, whilst having all of your needs taken care of? Just think – no washing up or housework the whole time and plenty of activities to keep the kids occupied! Christmas Eve begins with a reception with bubbles and canapés, followed by a delicious buffet dinner with red and white wine. 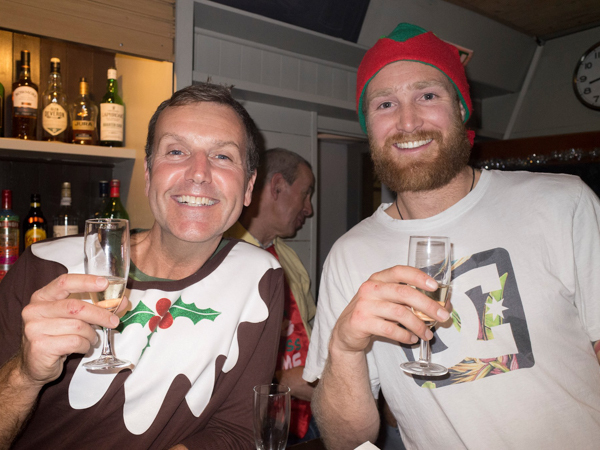 Christmas Day starts in a relaxed fashion with a cooked breakfast; despite the festivities the resort is fully open with all the ski lifts running so you can spend Christmas Day skiing and enjoy a full day on the slopes. On your return to the Lodge you can enjoy tea and Christmas cake, followed by a traditional Christmas turkey dinner with all the trimmings and Christmas pudding to finish later that evening. We can also cater for other dietary requirements, including vegetarians and vegans, as well. We also offer New Year Ski trips – both short breaks and weeklong holidays too. 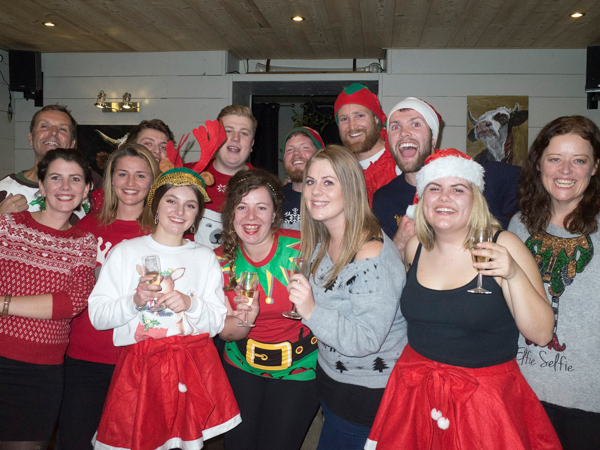 Fancy Christmas with Ski Weekender?